Earlier last year, the Dock team spent an incredible week in Tulum, Mexico for our first annual team retreat. As a distributed company across 4 continents and 8 countries, many of us had been working together for years without ever meeting face-to-face. Bringing the team together in this way has been a long-term goal of ours, and we were very excited to finally make this goal a reality. With a mission as bold and important as ours, we know that having a unified team is one of the key components on our road to success. This retreat gave our team an opportunity to connect on a human level, deepen our relationships and create shared memories that have strengthened our team’s culture. Somewhere in between spontaneous pool parties, tasting new foods and living in the same house for a week, our team returned home with a stronger sense of solidarity and appreciation for one another. During our last dinner together, each of us took the time to share our favorite moments from the trip. We repeatedly heard that simply “meeting each other” and “spending time together” were the top highlights of the entire experience. The teams brainstorming and presenting their solutions during our hackathon. Beach competition: To get the competitive juices flowing, we had a beach competition that consisted of an obstacle course race and a sand castle building contest. Although both teams gave it their all, the orange pirates won with their creative sandcastle and quick moves on the obstacle course. 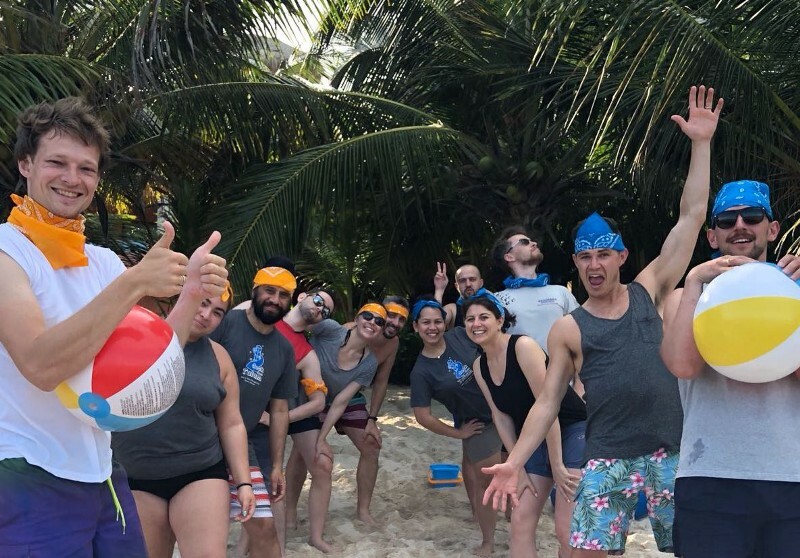 Visit to Xcarat: In addition to giving team members free time to explore Tulum, we organized a trip together to the eco park Xcarat where we swam through an underground river, saw all kinds of animals, and watched a show about Mexico’s history. As a team that’s passionate about working remote, we know that productive day-to-day work doesn’t need to be done in person, but we also understand that there are certain interactions that just aren’t the same on a video call. The opportunity to spend quality time together, making memories and celebrating our successes strengthened our bond as a team. We have no doubt that we will have many more team retreats in the future and look forward to many more adventures together.